the SIM card could not fit in to position it seems bigger for its holder. What shall I do? simply push harder? i heard the battery life is really, really, really, really, really, really, really, really, awful. it needs to be charge every alternate day or even everyday. wow! is that true? let's say if i make 30 mins call/day, send 20 sms/day, take 5 pics/day and 2 x one minute video clips, play 3 X 5min songs - will battery die then? I'm having a slight problem here and couldn't seemed to have any way to solve it. - how am i gonna change the text messages' font size? where I've searched every part of it, i could only change the MMS font size? Anonymous, 21 Jan 2009- Ringtones and mp3 through loudspeaker very loud. But when using the loudspeaker during call,... moreThanks for the feedback over the loudspeaker and video recording. 1. how to chk the firmware for this phone? 2. how to d/load latest firmware? 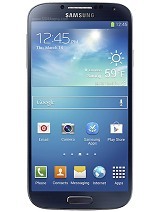 4. any major flaw in this phone? i bought nokia 5800 and sold after 2 weeks. camera and video are not so good. flicking thru and tap on selection are not so fluid. If i send a text i don't see the picture of the smiley, where can i turn it on?? is it possible to get windows mobile 6.1 on this mobile? if yes, how can i do it? alex , 21 Jan 2009i have the same problem i don't now how to install jar games on my pixon other games work if ... moreWhatever java ".jar" file i put on the memory card it says invalid file when trying to open it. I am pretty sure you cannot install applications that way, you have to download with Wap instead. Anonymous, 21 Jan 2009spartan, thks for the feedback. funny thing is when the phone seller demo a song over this pho... more- Ringtones and mp3 through loudspeaker very loud. But when using the loudspeaker during call, volume very soft, strange. 1. what abt when using the loudspeaker during calls? good? 3. during D1 video recording any video and audio out of sync problem? any sudden stop n freeze during recording? i have the same problem i don't now how to install jar games on my pixon other games work if you download it of the cellphone internet can someone help me pleas pleas pleas pleas pleas pleas pleas !!!!!!!!!!!!!!!!!!!!!!!!!!!!!!!!!!!!!!!!!!!!!!!!­!!!!!!!!!!!!!!!!!!!!!!!!!!!!!!!!!!!!!!!!!!!!!!!!­!!!!!!! Hi guys, i am having a slight problem with the WVGA (720 x 480) video i had recorded on my Samsung Pixon. When I upload it to both my Mac and PC, neither of the OS can play the .mp4 video. Can anyone tell me why?? I am using quicktime and windows media player. But i can't watch the video on both of my computers. Neither can i watch the video recorded by the Samsung pixon on gsmarena. Some people say its due to the codec suppport. Can anybody tell me how to get this "codec support" since i cant find it on google. Anyways, juz this is only one problem i encountered. The Video Recording is extremely good, very detailed. The camera is extremely fast as well. An excellent phone. Spartan, 20 Jan 2009The ringtone volume is excellent, even when it's in my pocket, a number of people in my office... morespartan, thks for the feedback. funny thing is when the phone seller demo a song over this phone (MP3 was pre-installed) it sounded not so loud even place at the highest volume. taken by it are they as good or does innov8 do better?? Simon, 20 Jan 2009I'm slightly confused as to how to turn on/off GPS on my Pixon, can anyone enlighten me? Ma... morein camera settings. GPS on and off. I'm slightly confused as to how to turn on/off GPS on my Pixon, can anyone enlighten me? hellos anyone can help me ? i use my friend phone to send songs in but how to make it send into my memory card but not phone memory ? wu, 20 Jan 2009how loud is the incoming ringtone? as loud as n73? n95? i saw gsmarena review and it has "very... moreThe ringtone volume is excellent, even when it's in my pocket, a number of people in my office, have asked me to turn it down!! That's never happened before!! how loud is the incoming ringtone? as loud as n73? n95? i saw gsmarena review and it has "very good" mark for this phone. too bad that test cannot be trusted as gsmarena rated noka 5800 "good" only when i heard it was very loud.